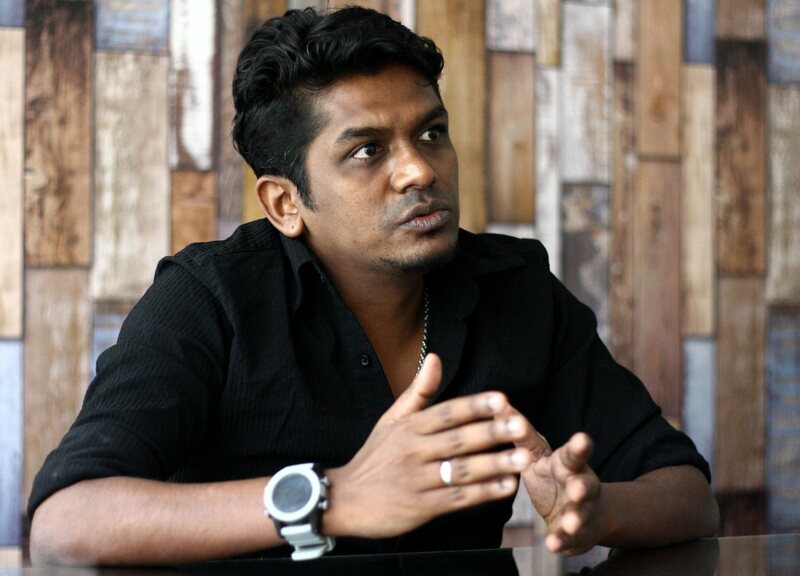 Shanjhey Kumar Perumal has just directed a Malaysian Tamil film called Jagat which is about is a coming of-age story which explores the boy’s relationship with his father and uncles. I have interviewed this director and here is the full story that was published in theSun today. Shanjhey Kumar Perumal certainly proved that dreams can come true if we have the courage and faith to pursue them. When he entered the film industry 10 years ago, his dream was to direct a feature film. He never once lost faith in that. Recently, his dream came true when he completed his first feature film, Jagat, which is based on a screenplay he wrote. 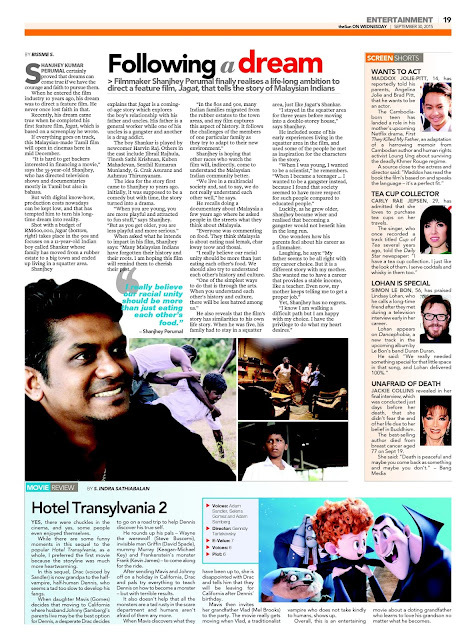 If everything goes on track, this Malaysian-made Tamil film will open in cinemas here in mid December. mostly in Tamil but also in bahasa. But with digital know-how, production costs nowadays can be kept low, and that has tempted him to turn his longtime dream into reality. Shot with a budget of RM600,000, Jagat (bottom, right) takes place in the 90s and focuses on a 12-year-old Indian boy called Shankar whose family has moved from a rubber estate to a big town and ended up living in a squatter area. Shanjhey explains that Jagat is a coming of-age story which explores the boy’s relationship with his father and uncles. His father is a general worker while one of his uncles is a gangster and another is a drug addict. Muniandy, G. Crak Asuranz and Aahmuu Thirunyanam. The idea for the story first came to Shanjhey 10 years ago. Initially, it was supposed to be a comedy but with time, the story turned into a drama. “When you are young, you are more playful and attracted to fun stuff,” says Shanjhey. When asked what he intends to impart in his film, Shanjhey says: “Many Malaysian Indians have forgotten their history and their roots. I am hoping this film will remind them to cherish their past. Shanjhey is hoping that other races who watch the film will, indirectly, come to understand the Malaysian Indian community better. “We live in a multiracial society and, sad to say, we do not really understand each other well,” he says. people in the streets what they think about 1Malaysia. “Everyone was commenting on food. They think 1Malaysia is about eating nasi lemak, char kway teow and thosai. He also reveals that the film’s story has similarities to his own life story. When he was five, his family had to stay in a squatter area, just like Jagat’s Shankar. “I stayed in the squatter area for three years before moving into a double-storey house,”says Shanjhey. “When I was young, I wanted to be a scientist,” he remembers. parents feel about his career as a filmmaker. Yet, Shanjhey has no regrets.